What did you say? Find out with Search Tweets by Date. Don’t you hate it when you know you’ve seen something, but you simply can’t figure out where it was? The same applies to Tweets. I know I’ve seen or said something, but I’ll be darned if I can figure it out to find it again. 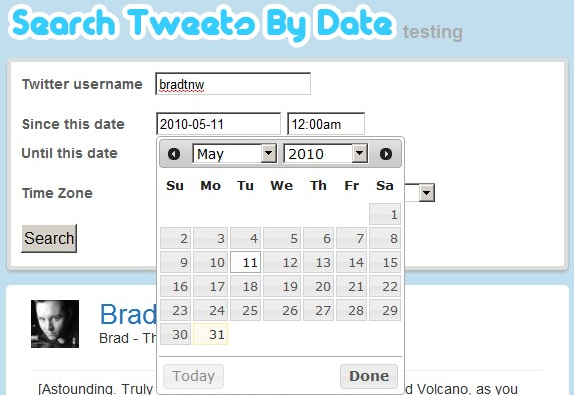 Search Tweets By Date is a web application that allows you to narrow down the timeline noise, and search for a Tweet by any user, within a given date. When you’re trying to figure out what you said about something, it’s an invaluable tool. 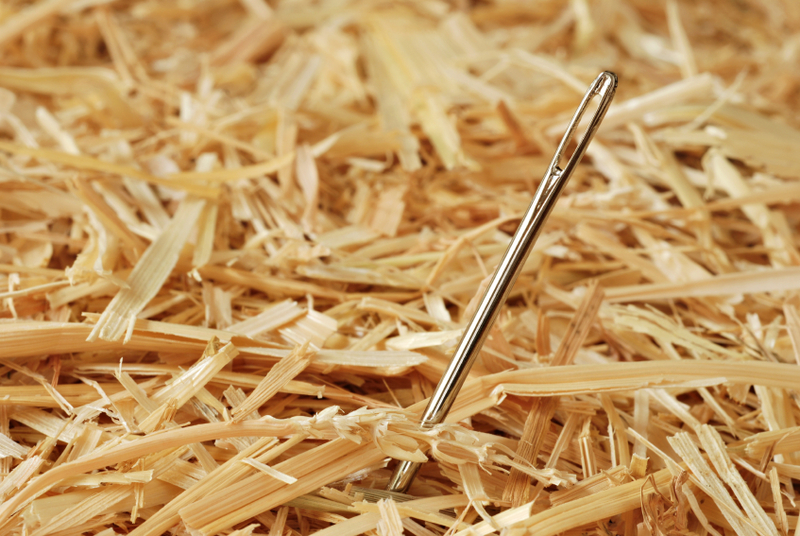 Locating a certain Tweet is like the proverbial needle in the haystack, so any service that can narrow down the waterfall into a small trickle is greatly appreciated. With STBD, all you do is enter a username, select a date range and then your time zone. Submit your query and you’re given a Twitter timeline that is specific to that user and date range, minus any @ replies. With over 50 million Tweets going out daily, and each of us responsible for an average of around 23, it’s easy to get lost in the crowd. So is it handy? You bet. Now that we know about it, I bet we’ll all be finding uses. Thanks to Sam Sethi for the tip! Read next: Working for Google? You won't be working on Windows.